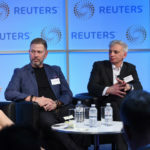 Blockchain is not just about cryptocurrencies like Bitcoin; this technology has started to move into all kinds of sectors, from real estate to healthcare – and now journalism. 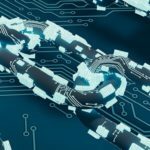 While the journalism community is slowly starting to take note of blockchain, many still use it as a bit of a buzzword without knowing 100 per cent sure what it actually means. 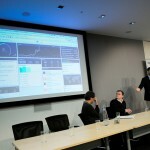 A video of the lightning round at news:rewired on Friday 19 April, which introduced delegates to a number of new tools and technology in the digital journalism world. Editor of recently-launched Tech City News Alex Wood started with an overview of three new tools which could be of use to digital journalists, followed by Anthony Sheehan‘s introduction to Near You Now and David Tomchak, who discussed new video app Vizibee.